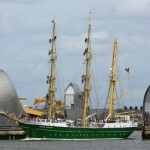 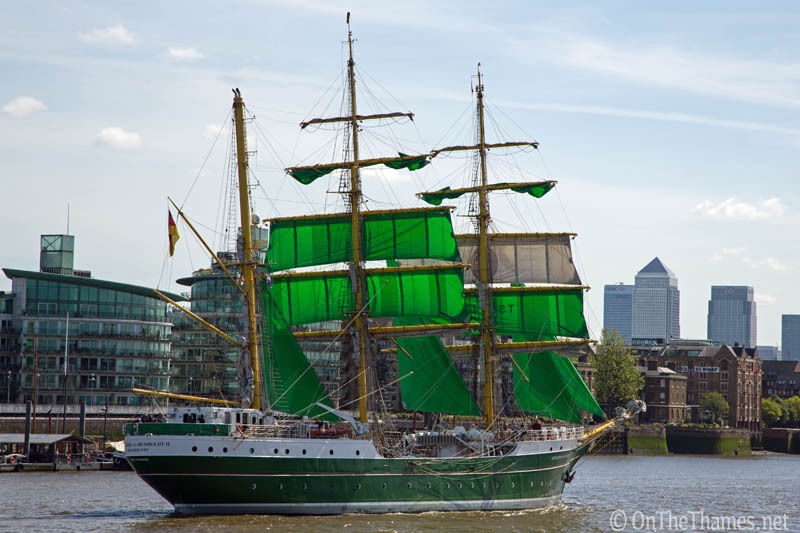 THE COLOURFUL Alexander Von Humboldt II delighted river watchers on a recent visit to London. 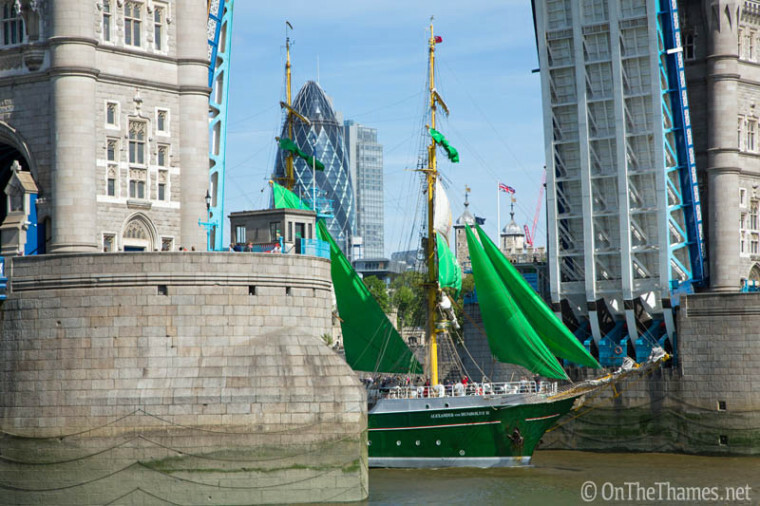 The Alex 2 sailed up the Thames and moored alongside HMS Belfast for a weekend with her green hull and green sails making for a startlingly attractive sight on the Thames. 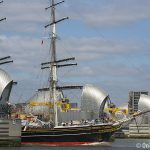 The tall ship was one of the standout visitors to London from 2014, so it was for that reason she appeared on the cover and inside the On The Thames 2015 calendars, some of which were delivered to the ship before she departed as a souvenir from London. 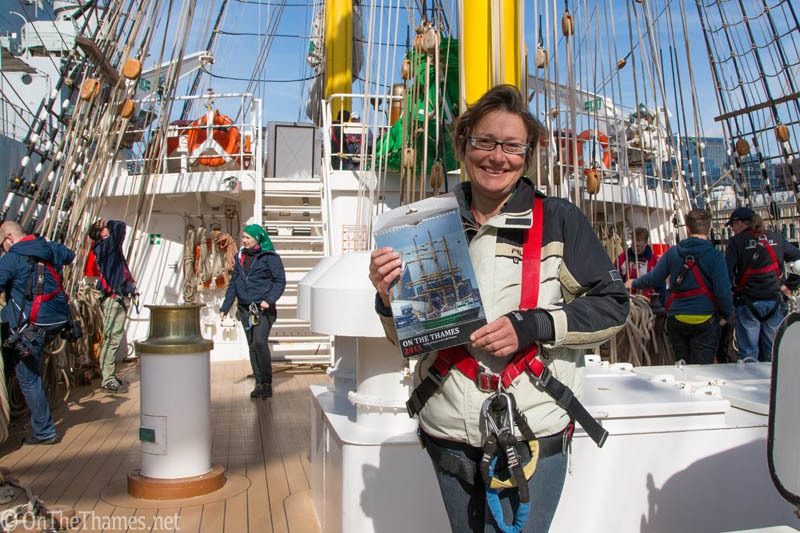 On board the Alex 2, Regina holds an On The Thames 2015 calendar with the ship on the cover. 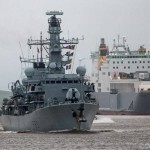 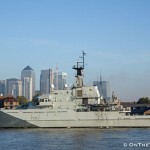 The tall ship was moored alongside HMS Belfast in the Upper Pool. 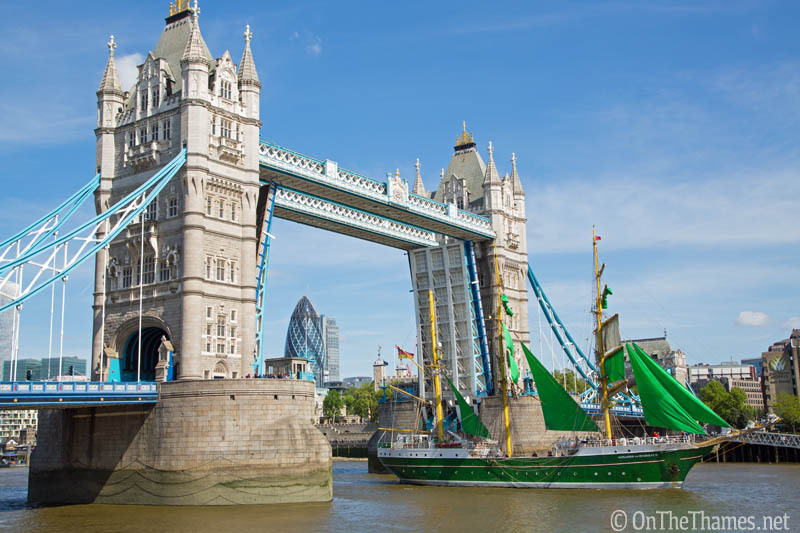 The beautiful ship passed under iconic Tower Bridge as she departed London. 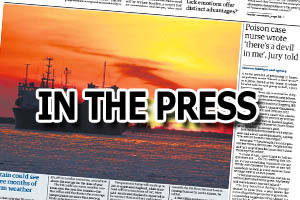 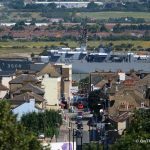 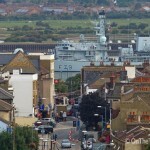 This photo by OnTheThames.net appeared in the Times the following day. 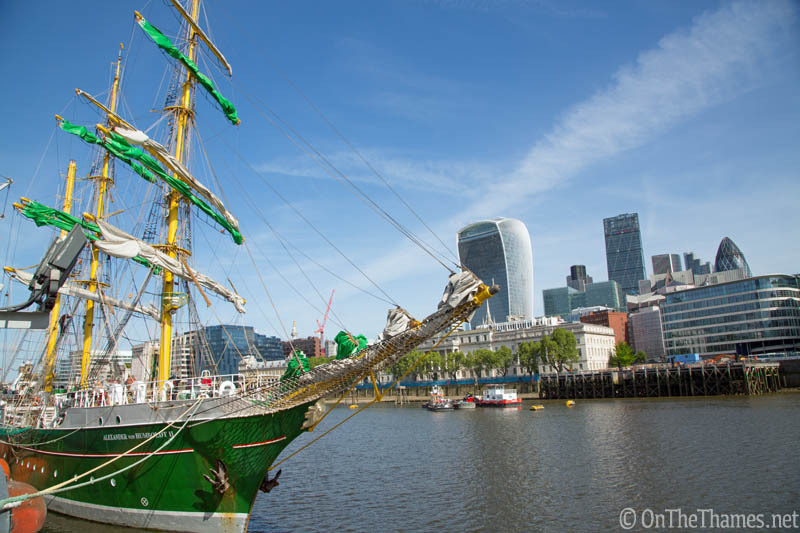 Alexander Von Humboldt II continues her journey down river with Canary Wharf visible ahead.